The British silk-weaving industry has changed immensely over the past 50 years. Some can still claim to be among the biggest and best in the world, but many smaller weavers and artisans have gone out of business. The biggest reason for this, of course, is China. 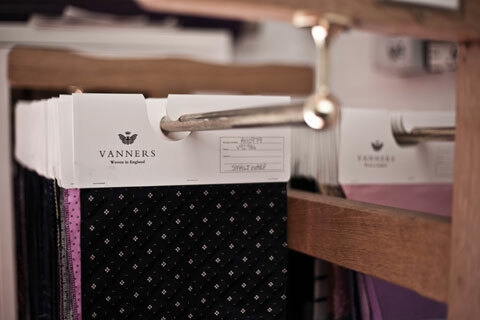 But it’s interesting talking to someone in the industry, such as Andrew Henry, sales director at Vanners in Suffolk, about exactly how that industrial behemoth has changed the dynamic. Henry was kind enough to talk me through his experiences during a site visit last week. The companies that suffered most from China were those in the mid-market – neither mass nor niche producers. When China first began its industrial growth, weavers in Europe found they could source much cheaper product from China and offer it very efficiently to existing clients. But that often meant that clients had a choice between cheaper Chinese product and relatively expensive European alternatives – most took the cheaper option. The weavers then found it harder to sell the premium product, and slipped down quickly down into the mass market. Selling anything in volume is a numbers game, and one where it is hard to remain consistently competitive. As more weavers entered this part of the market, and China began exporting its own (quickly improving) cloth, margins shrank and many of Europe’s best-known weavers went out of business. China’s reaction was opportunistic. Some of the managers at Europe’s defunct mills were hired by Chinese operations, to help them improve quality and production processes. As a result, Chinese silk weaving has come on immensely in the last 20 years. The problem that Chinese mills face today is that they often don’t have the experience or market knowledge to produce silks that will appeal to the high-end European, Japanese or American audience. They can’t design a range for a client, or know what will sell in a particular market and why. “I suppose that’s one way in which outfits like Vanners are unique and will continue to be so,” says Henry. You can follow the discussion on How China changed the silk industry by entering your email address in the box below. You will then receive an email every time a new comment is added. These will also contain a link to a page where you can stop the alerts, and remove all of your related data from the site. I would like to correct you here, India is the second largest producer and the largest consumer of silk. India also is the only country which produces all four varieties of silk. I’m not sure it is the largest weaver though, Summer. That was the information I was given.